So I wrote last week about my first pair of coated jeans. 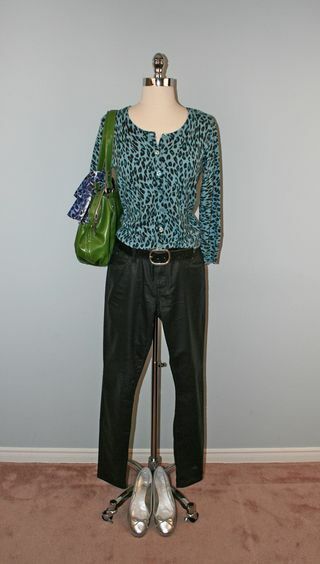 Here is look #2 with the same jeans. I have it here with silver Ralph Lauren flats. Or pumped up a bit with some heels. The next look I'll have with these jeans is a super dressy look, Lauren Bacall style.